Time was Citroen made some truly stand out cars, both for ride quality and looks. Financial pressures mean this once idiosyncratic maker is now a little more mainstream and its cars fit in with the crowd. 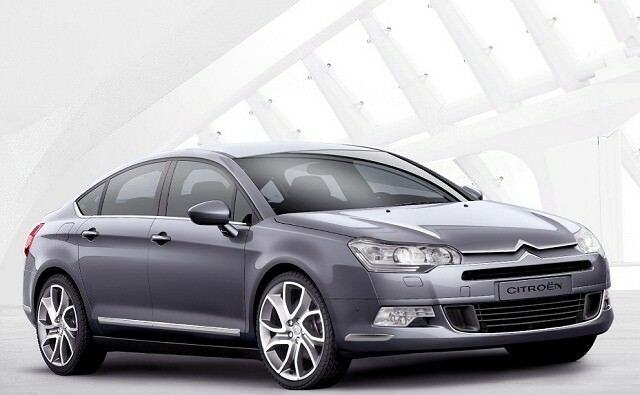 That’s all relative though, as the distinctive Citroen C5 proves. Time was Citroen made some truly stand out cars, both for ride quality and looks. Financial pressures mean this once idiosyncratic maker is now a little more mainstream and its cars fit in with the crowd. That’s all relative though, as the distinctive Citroen C5 proves; it’s still very much one of the best-riding and most distinctive choices in the ever-competitive family saloon segment. Citroen might be well known for its old hatchback models but the C5 is only available as a saloon (with a concave rear window nonetheless) or as a 'Tourer' badged estate. Both are spacious enough, though the latter really is an impressive load-lugger. The range of engines is a little larger than body styles, topped with the 3.0-litre V6 twin-turbo HDi unit, though this and the 2.7-litre HDi engine that preceded it remain incredibly rare on the used market. There was also a 1.8-litre four-cylinder petrol model, but this is also a rare sight due to it offering none of the benefits of the economical or strong-performing diesels. Much more plentiful are the 1.6-litre and 2.0-litre HDi models, with power outputs varying from 110- to 160hp. There was a choice of gearboxes too, both manual and automatic in six-speed flavours as well as the Electronic Gearbox System (EGS6) as fitted to the latest e-HDi Airdream models. Specification wise it's pretty simple, the range kicking off with VTR (which isn’t necessarily as sporty as it sounds) and followed by VTR+ models, the latest of which were designated as VTR + Nav - unsurprisingly they came with satellite navigation. Top of the tree is the Exclusive model, though its high price means this remains rare. We’d opt for a Tourer if you can find one - it remains distinctive without being quite as oddball as the saloon and offers a huge load bay and extra flexibility. Stick with a manual gearbox though, and if you can stretch to the 160hp 2.0-litre diesel in later models all the better - if not then the 1.6-litre HDi with 110hp is acceptable. Don’t set your sights on an Exclusive trim car though, as these remain rare - much more common is the excellent VTR + or VTR + Nav as it was later known. It doesn’t drive as well as a Ford Mondeo, lacks the image of a Honda Accord and isn’t as well-built as the Skoda Superb, but that doesn’t mean the Citroen C5 shouldn’t be under consideration. In Tourer spec especially it is practical, comfortable and refreshingly different while both body styles are well-equipped and frugal - making for a terrific all-rounder.